Located in the north of Chile, the Atacama Desert is the driest desert in the world, making it one of the most out-of-this-world places to discover in Chile. You can see martian valleys, salt flats, high altitude geysers and hot springs, volcanoes, and some of the clearest night skies anywhere in the world (the Atacama is a world-renowned spot for astronomy). If you’re lucky, you’ll see some of the special creatures that call this place home, like vicunas (related to llamas and alpacas), flamingos, and foxes. You can go hiking, look for archaeological ruins and evidence of ancient tribes, soak in salty lagoons, and get up close and personal with the universe while stargazing. 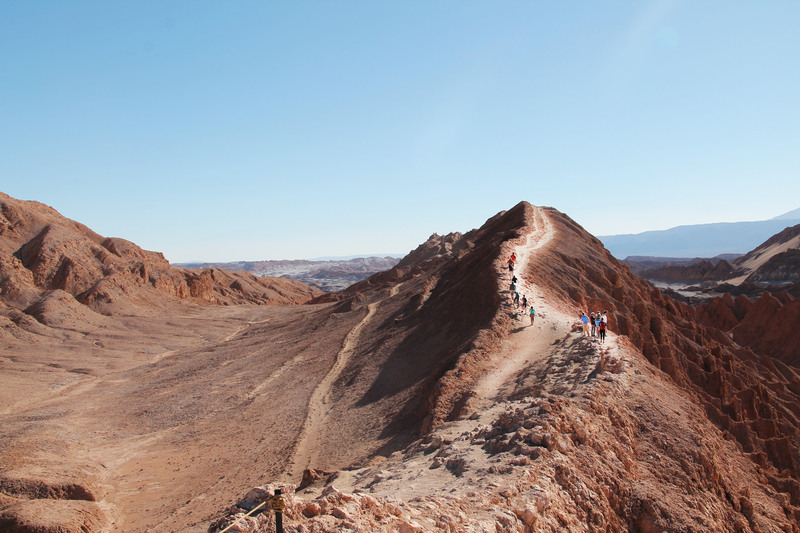 With so much to see and do in the Atacama, you’ll need the right equipment. Pack layers: Despite being the high desert, during the winter and at night the Atacama gets very cold, so it’s a good idea to bring warm weather clothing which you can then take off as the day progresses. This is also a good idea for coping with the heat. Protect your skin: You’re vacationing at nearly 8,000 feet above sea level. The sun is very strong here, so be proactive about protecting yourself. Using a sunhat, sunscreen, and protective clothing are just a few ways to take care of your skin, as well as trying to stay out of the sun during the main part of the day. The following is EcoChile’s list of recommended items to bring on your trip to the Atacama desert. 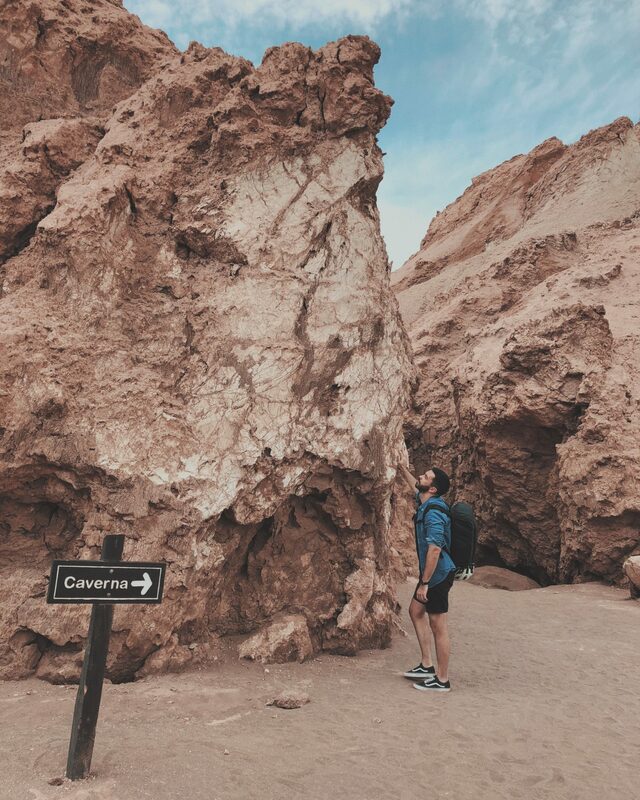 Hiking boots – There is some excellent hiking to be had in the Atacama Desert, especially around San Pedro de Atacama in Valle de Luna and Valle de Arcoiris. Bringing a pair of sturdy and comfortable hiking boots will make the experience all the more enjoyable for you. While the exact best brand or type of shoe varies depending on personal preference, shoes that are made of a more breathable material and have a thick sole are best suited for desert hiking, to combat the heat and to protect your feet in case of accidentally stepping on something sharp. Hiking socks (moisture wicking, lightweight) – You’ll probably be sweating a lot during day hikes in the Atacama, so lightweight socks that’ll help wick moisture away during the day will aid in comfort and hygiene. Lightweight hiking pants – Hiking pants made from a lightweight, airy material will make a world of difference when it comes to comfort and cooling down during the heat of the day. Pants that can unzip into shorts are a great option as well, as you can start out with long pants during the cold morning and then transition to shorts during the heat of the day. 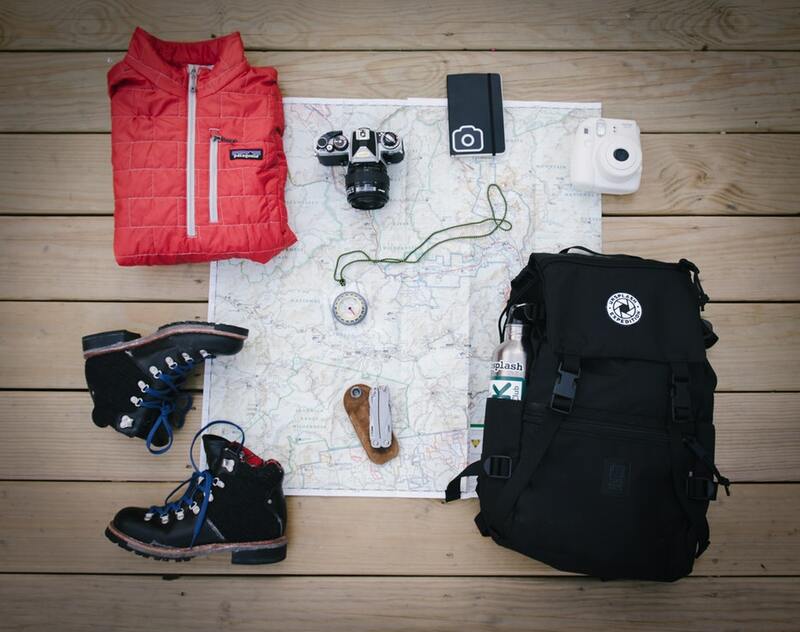 Long pants (jeans or leggings) – For hiking you’ll want more flexible, breathable hiking pants but for just walking around town and in the cooler evenings and mornings, bring along some jeans or cotton leggings for something warm. Windbreaker – Atacama is not very windy but during your tour in the moon valley it can get very blustery. Solar protection blouses/shirts – The heat in the Atacama is formidable, so during the day you’ll want to strip down to as few clothes as possible. Wearing a light t-shirt or tank top is a good idea, but for further protection (apart from sunscreen), wear a loose, airy solar protection shirt or blouse over the undershirt for covering your skin more and an extra bit of stylish flair. T-shirts/ short sleeve shirts– Loose, comfortable t-shirts are ideal for hiking during the heat of the day. Sunhat – Protect your head from those high desert rays! Fleeces/ sweaters – Warm clothing? In the desert? Oh yes! Even in the dead of summer, the altitude of the Aticama (San Pedro, the starting point for most Atacama tours, sits at 7,900 feet above sea level) means that the nights get very cold. So if you’re going to do any stargazing (highly recommended, especially in winter when the night skies are clearest) or getting up early in the morning to see the Tatio geysers, you’ll want some warm sweaters and fleeces to bundle up in. Warm hat and gloves – For those cold nights and mornings! Swimsuit – Despite being the driest desert on Earth, there are plenty of swimming opportunities in the Atacama. You can go swimming and sunbathing at cities on the coast like Iquique, and near San Pedro you can lounge in thermal hot springs at Puritama hot springs or float in refreshingly cold, buoyant high-altitude salt water lakes. For these occasions (and also to take advantage of hotel swimming pools and hot tubs), it’s a good idea to include a swimsuit. Flip flops – To visit sites like the Puritama hot springs or Lagunas Baltinache, you’ll want to have a pair of flip flops for moving from pool to pool. Heavy-duty sandals – For easy day trips that won’t require a lot of hiking, crossing streams during multi-day treks, or when exploring towns like San Pedro, some sturdy sandals (like Tevas) will definitely come in handy, as well as giving your feet a break from stuffy hiking boots. Backpack – For day trips, you’ll need a comfy backpack to carry your essentials for the day: sunscreen, water bottle, hat, glasses, layers, etc. Something lightweight would be best, made with a breathable, airy material. Sunglasses – The high-desert sun can cause serious eye damage, so be sure to pack some shades! 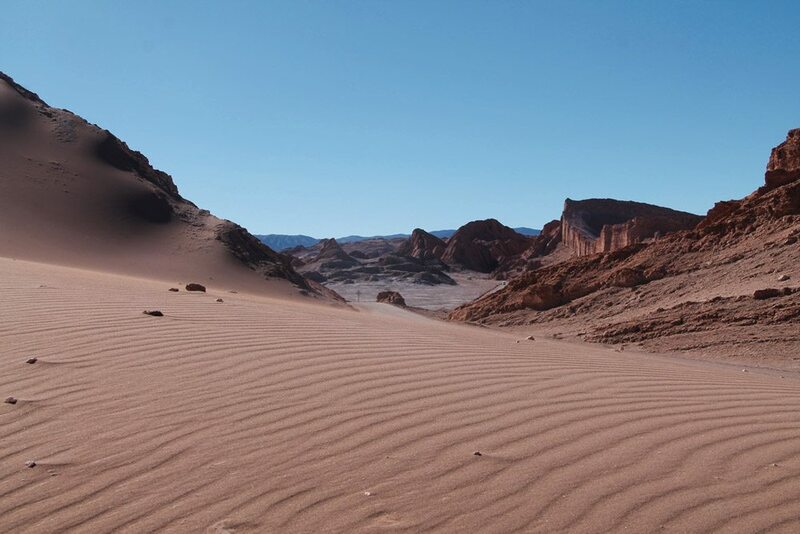 For those who wear contact lens, we recommend swapping them for prescription glasses for the duration of your trip, as the Atacama can get windy and sand can blow into your eyes, get under your contact lens, and irritate your eyes. 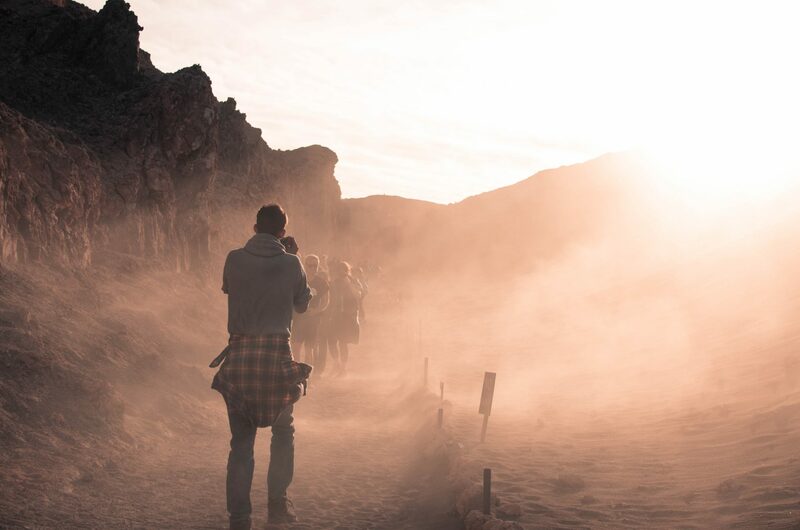 Camera – The Atacama is a visually stunning place, with volcanoes, geysers, salt flats, shimmering high altitude lakes, and diverse wildlife, and you’ll want to bring a good camera to capture those sights. Binoculars – The vast distances of the Atacama desert and excellent camouflage abilities of the animals that live here can make it tricky to notice wildlife or passing points of interest while hiking or driving, so pack a pair of travel binoculars to use in such moments. Reusable water bottle – Not only is using a reusable water bottle environmentally friendly, it’s important! Spending time in the high, arid desert of southern Chile takes a toll on your body so drinking plenty of water throughout the day, whether you’re physically exerting yourself or not, is important. Sunscreen – Not only are you in a desert but a high altitude one: the sun is extremely strong here and the white sands and salt flats are strong reflective surfaces, so be sure to apply sunscreen all over and reapply throughout the day. SPF 50 or higher. Eye drops – For those with contact lens or prescription lens, the dry climate of the high desert may be a strain on the eyes, so don’t forget some eye droplets to add a little moisture. Medication – If you have any prescription medication, be sure to bring along plenty for the trip, just in case the pharmacies where you’re staying don’t carry what you need. Keeping some Advil or Ibuprofen on hand as well in case of headaches caused by the altitude is also a good idea (see below). Remedies for altitude sickness – Altitude sickness is a frequent problem for visitors to the Atacama; luckily, for most, the symptoms are relatively mild and go away within anywhere from a few hours to a day or so. Symptoms include headaches, nausea, dizziness, vomiting, fatigue, shortness of breath, rapid pulse, and having trouble sleeping. While there are plenty of regional solutions for dealing with altitude sickness, such as drinking coca tea or chewing coca leaves, if you have medication or at home remedies that help you deal with altitude sickness, be sure to bring them along. Otherwise, doing things like drinking plenty of water, slowing down and taking deep breaths when feeling out of breath or fatigued, sitting down when feeling lightheaded, eating carbs, and avoiding alcohol are several ways to help your body adjust to the altitude. Snacks – Pack some light snacks like protein bars and fruit for day hikes to give you that little extra boost of energy when the heat of the day is getting to you. Basic first aid – Even though your guide and hotels will have first aid kits, it never hurts to bring some band-aids along on day trips just in case. 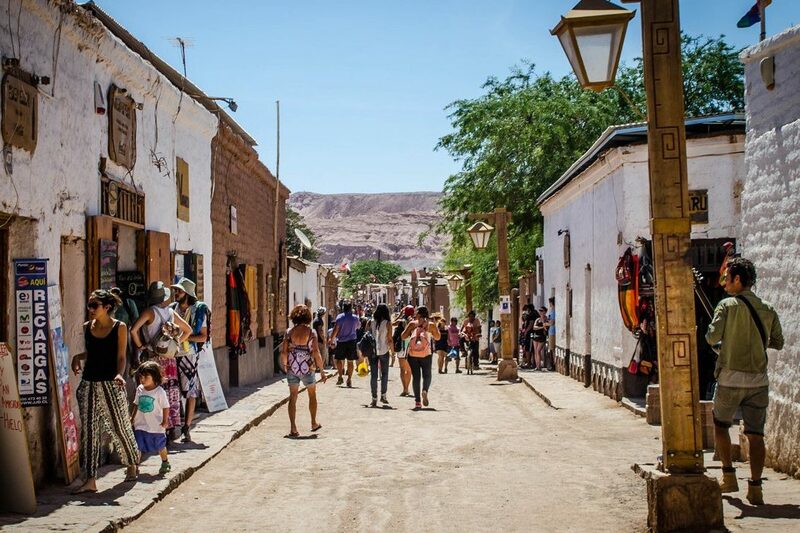 Cash and credit cards – In Atacama tourist centers like San Pedro, most of the stores, restaurants, etc., will accept credit cards but for outlying towns, it’s best to always keep some cash on hand. Aloe vera lotion – In the event you do get a sunburn, keep some aloe vera lotion on hand to massage onto the burn at the end of the day to help soothe it and speed up the healing process. Feel free to ask your expert trip designer any questions you may have about this packing list. Happy packing and we’ll see you in the Atacama!